Improving tasting skills is similar to any improving other skills whether it being playing golf, tennis or cooking. Many times people say to me that they cannot identify the test of the fruit aromas and flavours in wine, to which I reply that it is a skill that requires patience and practise. Those who attend my wine courses pick up the basic skills quickly and as a result tasting wine is different experience full of pleasant surprises and sometimes disappointments. To begin to improve your tasting skills I suggest that you buy a Moscatel based wine. There are many available on the market and you don’t have to spend too much. One that I particularly like is Pepe Mendoza’s Moscatel Chardonnay, DO Alicante. The three basic steps are to firstly look, then smell and finally taste. Firstly pour a small glass, tilt the glass, is the wine clean and bright? Step 2 is to swirl the wine in the glass to release the aromas, take a swift deep inhale. This is where practise is needed to identify the aromas. I suggested a Moscatel because it is the only grape that has a distinctive grape aroma, ‘it smells of grape’. Other white wines will have other aromas. Try to identify them in general terms such as fruity, floral or mineral. If it is fruity, with practise your tasting skills will be able to distinguish between citrus and tropical fruits. The citrus fruit aromas can be more closed identified as being orange or lemon or lime. By getting to this stage you tasting skills have improved greatly. By looking and smelling you now know a great deal about the wine. If you don’t notice anything, don’t give up, try again, remember the objective is to develop a skill. Now drink the wine, take a small mouthful, and swirl it around your mouth. This skill here is to take in a little air and ‘slurp’ the wine. Everyone can do this, think of it being like mouthwash. This has the effect of releasing the flavours of the wine. Also, without air we cannot notice the flavours. The grape’s aromas should come through on the palate. Again the more we practise the easier it becomes. By following these steps more complex wines will open up and reveal the true character and flavours. Take a classic Rioja, which no doubt you are familiar, have you ever taken the time to taste the wine properly? Tasting Riojas starting with a ‘joven’, then crianza and reserva is a wonderful way to improve your tasting skills. The youthful wine is notable for its ripe red berry aromas and flavours (with practise you will be able to identify strawberries, raspberry and maybe some red cherry), the crianza and reserva have more complex aromas and flavours of a compote of red fruits together with vanilla, toasted oak and sweet spices that come from the time the wine has spend in oak barrels. Attending tutored tastings is a good idea. This week I held a tutored tasting of two Albariños and two Rieslings from different countries. The objective was to compare and contrast the styles. Each wine had distinctive varietal characteristics but each was different due to where the grapes were grown and the wine making techniques used. This is a fun way to practise and improve your tasting skills. Tasters with less experience learn quickly when tasting with those more experience, while experienced tasters appreciate the opportunity to practise tasting new wines. By practicing the above steps you will change the way you taste wine. 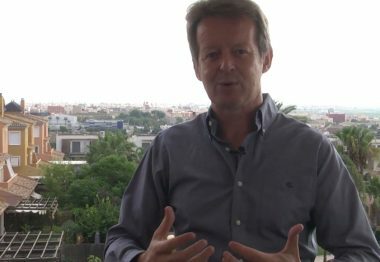 I am a Northern Irishman based in Valencia. My career in wine began more than three decades ago, in London. I am the founder of TheWinePlace.es, an online store, where wine enthusiasts can enjoy a selection of international wines and Verde Marte, a company dedicated to exporting Spanish wines. 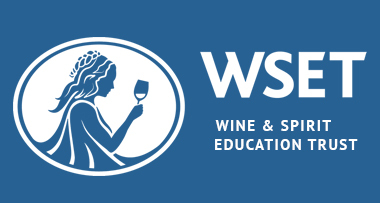 Also, Thewineplace.courses, an "approved program provider" of the courses of the prestigious WSET. I share my passion for wines through my media work writing weekly columns for the Spanish newspaper El Mundo and 5 Barricas, an online wine magazine. Data communication: The data will not be communicated to third parties except by legal obligation. Rights: Access, rectification, elimination and forgetting. Where are you on your wine journey? Red wine with meat and white wine with fish? markoneill.es © All rights reserved.